A distinctive cloverleaf-shaped icon in Chicago, Prentice Women’s Hospital was designed by architect Bertrand Goldberg and opened to international acclaim in 1975. 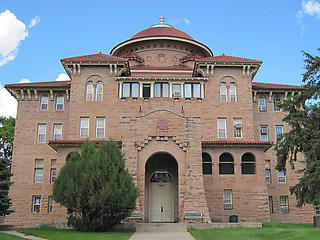 The hospital relocated in 2007, leaving the distinctive structure vacant. A strong coalition of preservation groups, architecture and design organizations, and internationally-recognized architects and engineers demonstrated several viable reuses for the groundbreaking Modernist treasurethat made it the centerpiece of a cutting-edge Northwestern medical research facility. 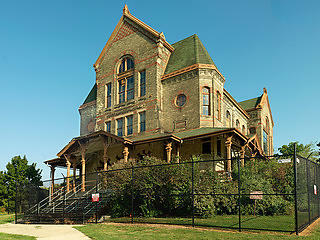 In spite of a unanimous vote of the Commission on Chicago Landmarks that Prentice met the criteria for a Chicago Landmark, the Commission ultimately sided with Northwestern University and cleared the way for demolition of one of Chicago’s most unique buildings. Irreplaceable buildings, landscapes, and sites of the Modernist movement are among the most underappreciated and vulnerable aspects of America’s heritage. Day by day, neglect and demolition erode the physical fabric of the recent past – and our cities. 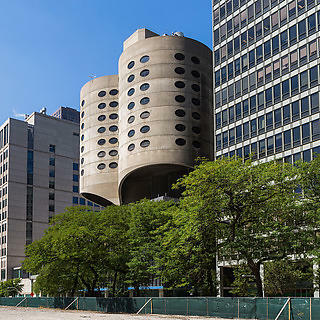 By identifying Modernist icons such as Prentice Women’s Hospital as National Treasures, the National Trust will work to preserve the architectural and cultural heritage of the recent past before more landmarks are lost. Support our work to preserve National Treasures.